Home Insurance How to Claim LIC Maturity Amount? In both the case, the claiming process will be the same with a minute change in the selection of the form for the claiming process. Some insurance schemes provide the insurer a Maturity Period of the insurance after which the policy becomes void and the sum assured at the time of availing the insurance will be provided to the insurer. The sum assured is different for different schemes so go through the policy document or inquire the insurance agent for the sum assured after maturity. If you have taken the insurance online then you can use the LIC Customer Care Number to contact the LIC for any inquiry. Along with the above-mentioned document Form, No 3825 has to be submitted at least one month before the due date of the maturity claim. After the approval of the maturity claim from the LIC of India the sum assured will be paid directly to your bank account. Some of the insurance policy provides the insurer with the tax benefit that can be reflected on two fronts the primary benefit that the insurer gets is on the ITR Filed and secondary benefit that the policyholder gets is on the maturity amount. The policyholder must go through the policy document before availing the insurance as not all the insurance scheme provides the Tax Benefit on maturity or on ITR Filling. Death is inevitable and it cannot be predicted so preparation is what left as an option. LIC insurance policy help people in preparing themselves in case of death by ensuring then which in turn will provide their family with a secured future. The insurance policy provided by the LIC has the highest Claim Settlement Ration which makes the policy very much likable among the people. After the death of the policyholder, the nominee decided by the policyholder at the time of availing the policy will have to apply for the death claim by submitting the claim documents. Claim form A – Claimant’s Statement giving details of the deceased and the claimant. Evidence of title to the deceased’s estate if the policy is not nominated, assigned or issued under M.W.P. Act. The following additional forms are called for if death occurs within three years from the date of risk or from date of revival/reinstatement. Claim form B2 – to be completed by the Medical Attendant who treated the deceased life assured prior to his last illness. Claim form E – Certificate by Employer if the assured was employed person. How to Make Death Claim? 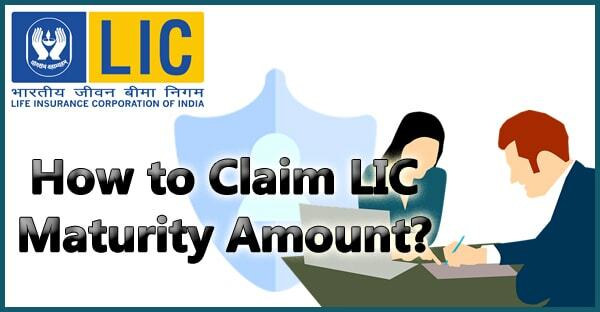 Step-1 You very first step is to contact the LIC and inform them about the death of the policyholder or you can contact the LIC agent who will guide you with further claiming process. Step-3 You can visit the LIC Branch to submit the form with all the required details.